PUCET 2019 Counselling will be conducted through online mode. 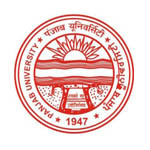 Panjab University Common Entrance Test (PUCET) is a university level entrance test. It will be conducted for providing admission in B.Sc (Hons.) and B.Pharmacy courses offered at PU campus, Chandigarh. The counselling process will be organized in different rounds depending upon the availability of seats. Here we are providing details about the PUCET counselling 2019 including schedule and procedure. The counselling process will comprises of various steps like filling of admission form, preferences, seat allotment and reporting at allotted college. PUCET counselling will be conducted in various rounds. Candidates will be shortlisted for counselling as per their performance in the entrance test. Counselling for vacant or remaining seats will be conducted through offline mode. The counselling will be commenced from the May 2019. In the table given below, we have provided the official schedule for counselling. After the declaration of result, candidates will have to fill the admission form via online mode. Choices of courses/departments will be available in the admission form. Candidates are required to fill the admission form along with their preferences and send it to the university before the due date. Candidates can pay the counselling fee through online or offline mode. Candidates should lock their preferences before the final submission. After the submission of admission form, a merit list will be released. The merit list will be prepared as per the performance in the qualifying exam, entrance test and other filled details. The university will provide the opportunity for objection regarding the merit list. After receiving the objects, a final merit list along with allotment will be published. Once the seat is allotted to candidates, they have to report to the respective department of the university. They have to bring the required documents and fees to confirm their admission. Candidates should report to the department at the specified duration. In case, candidates fail to report to the university, their admission will be cancelled. For any other queries about PUCET 2019 Counselling, you may leave your queries below in the comment box.